Video commentary on research findings – Lara Perez-Felkner, Ph.D. Broadly accessible communication of research findings is something my colleagues and I value. Please find below links to video presentations and news clips about my work. 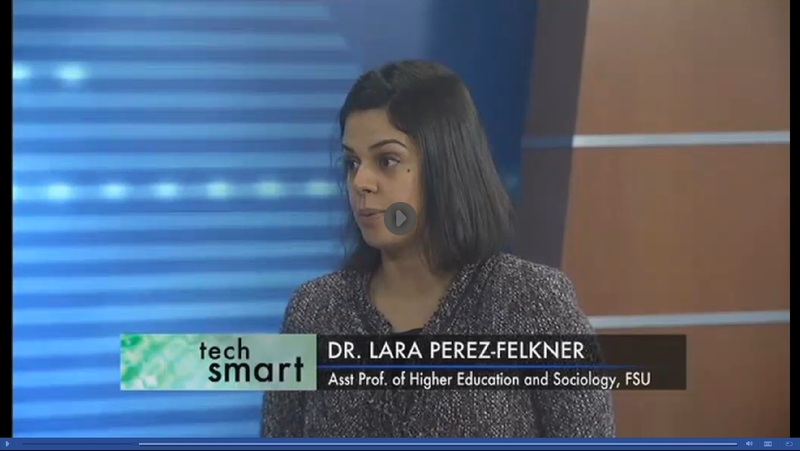 Feb 8, 2019 FSU College of Education – Dr. Lara Perez-Felkner Research in a Minute. Jan 31, 2019 Video abstract accompanying the following article. Samantha Nix and Lara Perez-Felkner. Nov 16, 2015 VHTO Gender and STEM conference, video presentation, Amsterdam, Netherlands. Lara Perez-Felkner and Samantha Nix. Aug 20, 2015. ABC News 27, interview by Kellie Bartoli: “Tech Smart: Bridging the Gender Gap.” (3:45) – click to view story.